What is Scar Family and why did you form it? 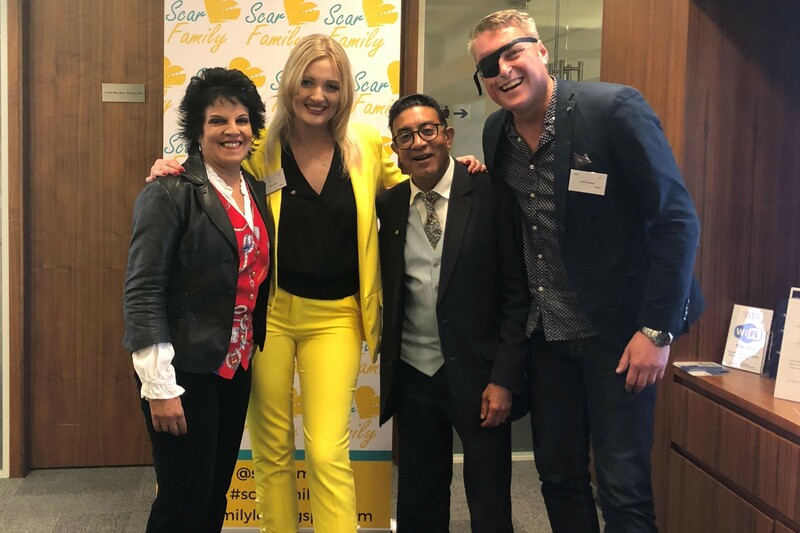 Scar Family is a platform, both online and through events, that aims to raise awareness of scarring and create a community for people with scars. It’s an opportunity for me to share my everyday challenges and bring together other people who are going through the same thing. I decided to set up Scar Family as, after my attack, I really needed to turn a negative experience into a positive one. I want to reach out to other people who have scars, or other life changing injuries, and highlight that they are not alone. What was the main aim of the event and what did you enjoy the most? I wanted to use the event to raise money for The Scar Free Foundation. Around 70 people attended the evening, which included presentations from Pam and Dan. Overall, I raised just over £4,000, which I’m really happy about. I'm also really grateful to the Association of British Insurers, who hosted the event for free. My highlight from the evening was right at the very end, after the presentations. Everyone was so happy and they were all talking to each other. I felt like there was just a really positive vibe. I was also introduced to someone who had only recently been scarred. It was really nice to meet someone new, who felt the same as me, and to spark up a new friendship so that we can help each other through a difficult time. Not feeling like you’re alone when you’re going through such a hard experience is really important. Why did you choose to raise money for The Scar Free Foundation? I chose to raise money for The Scar Free Foundation as the charity has really helped me along the way. It provided a network, which for me is extremely important. I’ve been a Scar Free Ambassador since the start of the year, so not too long but long enough to learn about the research and to attend Scar Free events. The Foundation really represents Ambassadors and values our opinions. So it’s been a really positive seven months with the charity and this was my way of giving back.